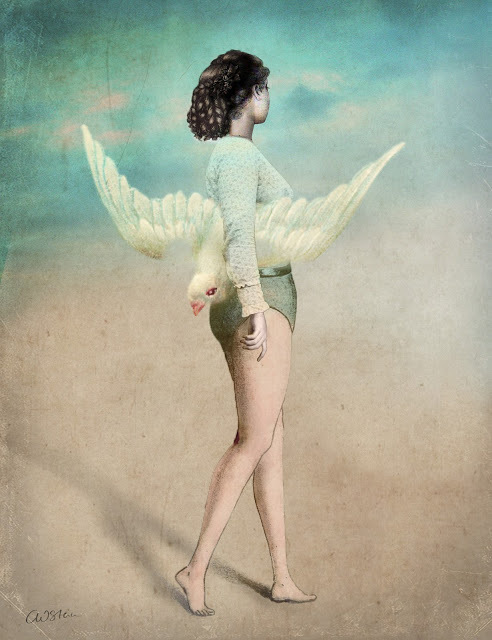 Fine artist Jemima Kirke is best known for her roles in Tiny Furniture and the HBO series Girls, both created by friend Lena Dunham. 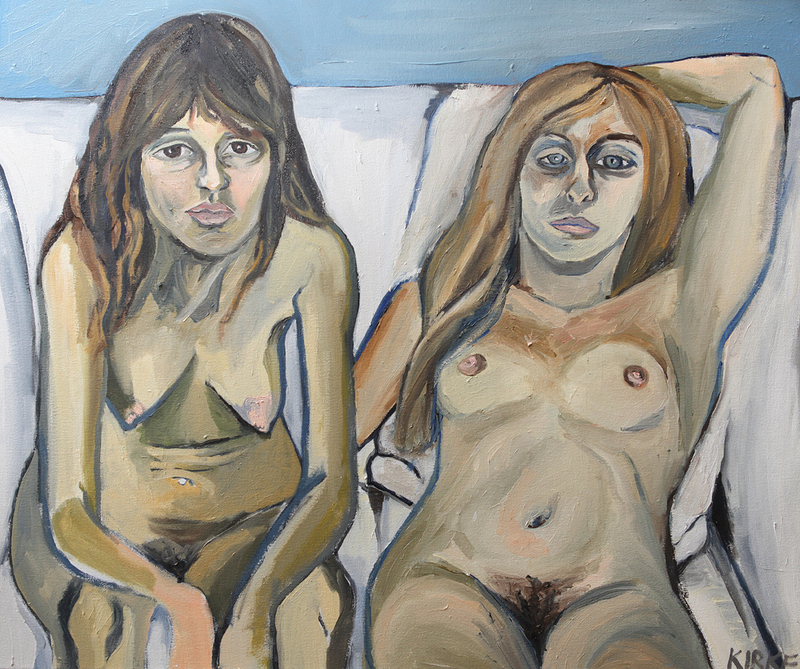 In the second season of Girls, Jemima’s character Jessa paints a portrait of her then-husband, a scene which miffed Kirke, “I was a little pissed at the moment, when I saw that painting as a prop…It’s just a little close to home. 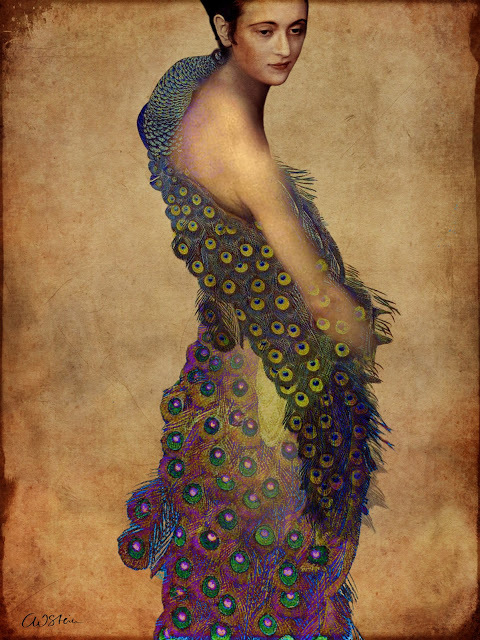 And only because I have been been very vocal about the fact that I make artwork, so I don’t want this to be seen as mine. 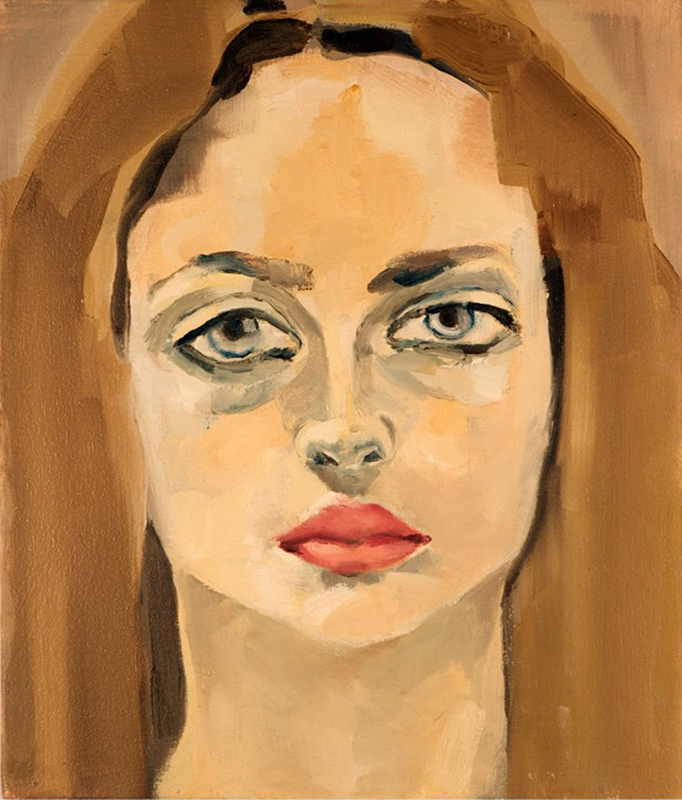 Not that there was anything wrong with it; it just wasn’t me.” Kirke’s paintings are influenced by the work of Edouard Mamet and Lucian Freud and one can sense a bit of Francesco Clemente in her portraits. As her website describes the work, “By turns both heart-breakingly intimate and ultimately entirely distant, Kirke flees from obvious representations of her subject matter to focus on underlying darkness and the interplay of pathology that exists between artist and the person studied. 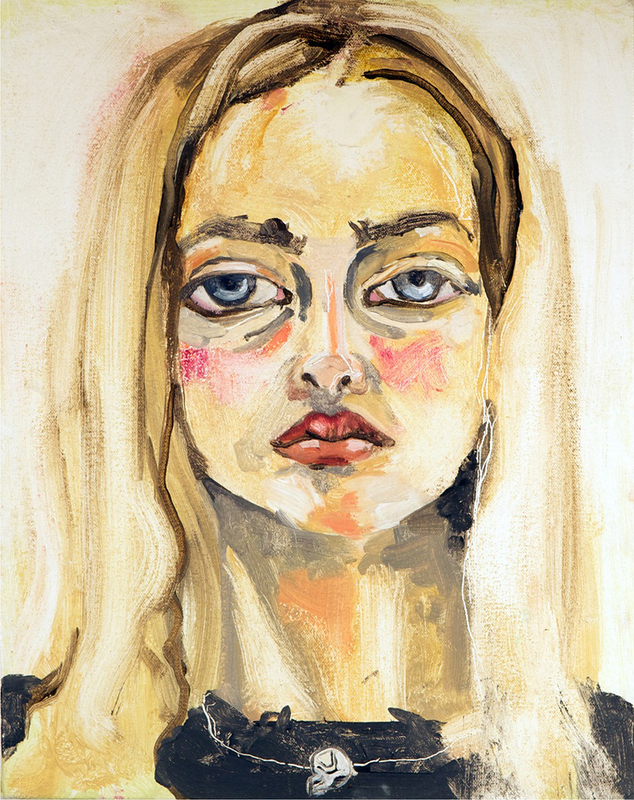 Her practice highlights the uncanny moment of fusion between the sitter’s projected identity and the internal character that the artist imposes upon her subject.” She is currently signed on to portray Jessa in season three of Girls. 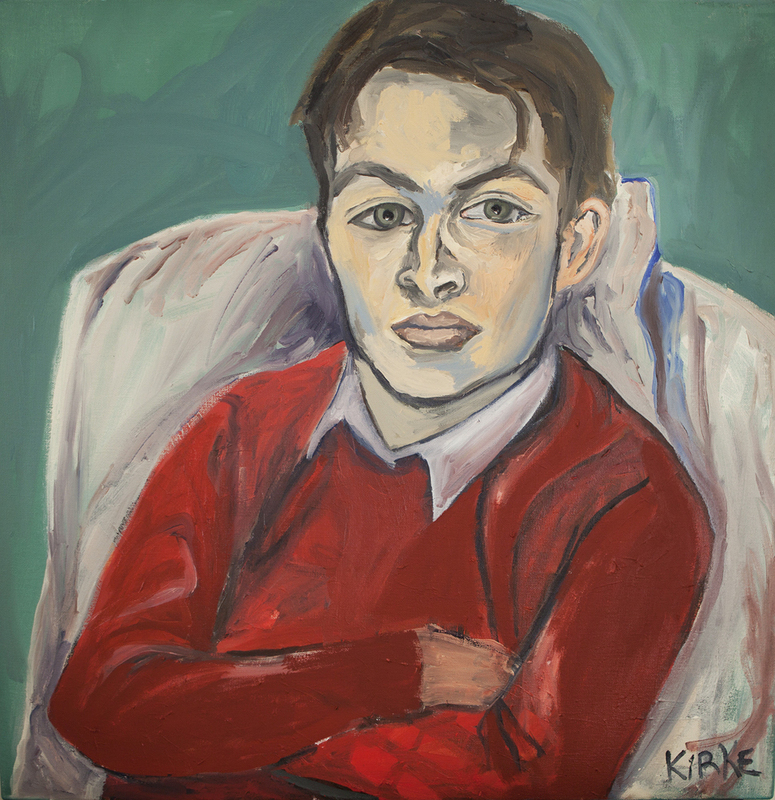 For more information regarding Kirke’s fine art, please click here. 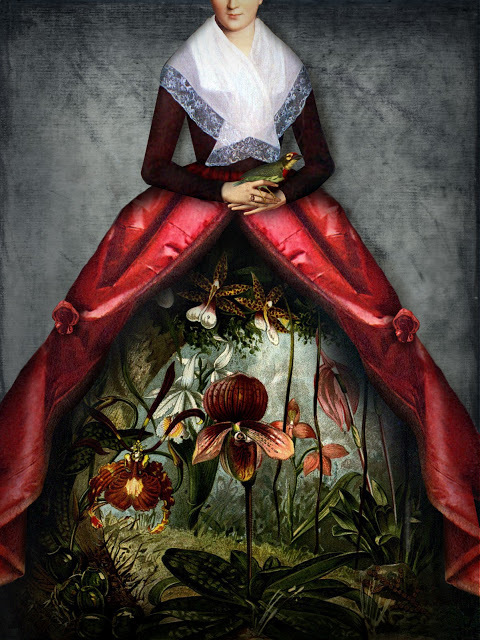 German artist Catrin Welz-Stein creates her works by digitally collaging old illustrations and photographs. 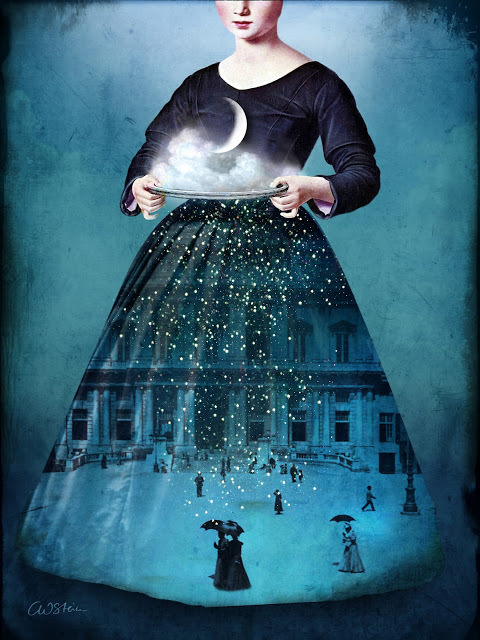 She combines, divides, removes, fills and retouches elements in Adobe Photoshop to produce digital images that explore the worlds of fantasy and fairy tale. 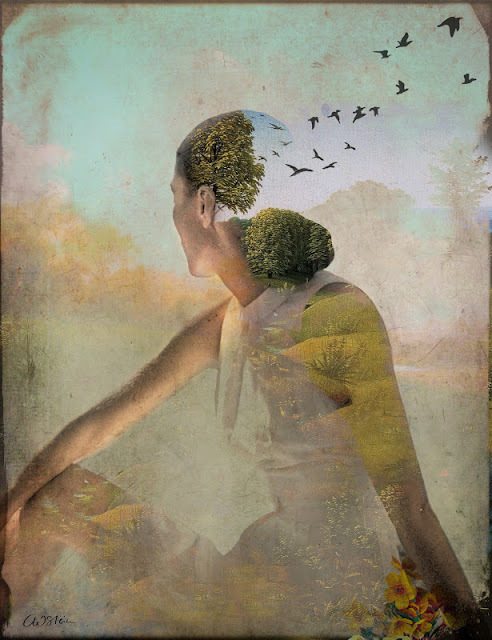 She says her images, “speak from inner feelings which we often hide in our daily life.” A former professional graphic art designer, she feels free from the rules and compromises she felt in creating art for clients. 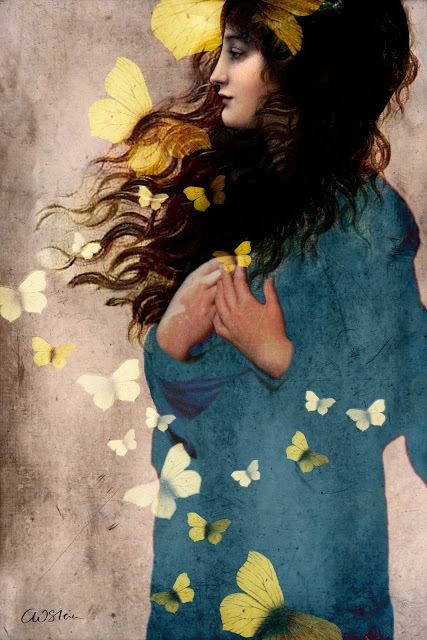 She now enjoys “creating art that does not explain itself from the beginning.” Based in Malaysia, she says “a large part of my work is the search for license-free images, illustrations or photophos, for which the copyright has long expired. Old books, magazines and the Internet are my primary resources for that. 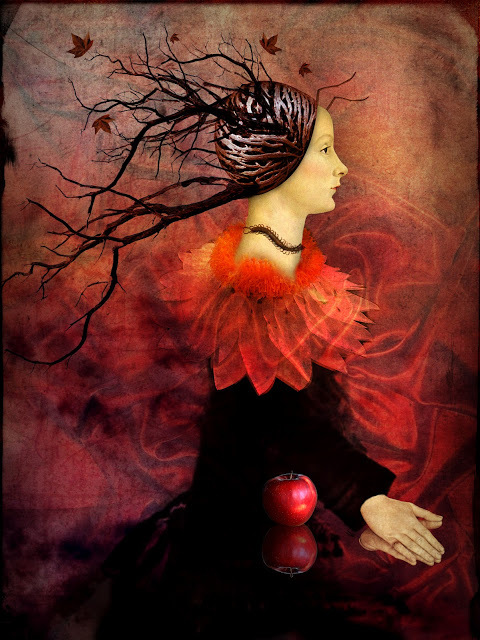 Once I have found a fitting image, I break it into pieces, until the original image is no longer recognizable and an entirely new image is created.” Visit her website to see more of her images or purchase the artwork at Redbubble.